We know skiing, we know Japan. In Telluride, Colorado the mountains are steep and skiing is in the soul of the community. 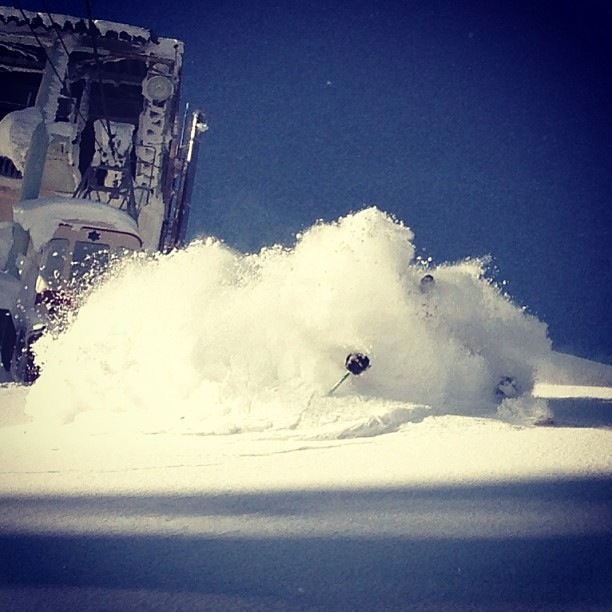 SnowLocals founders Jake and Charlie grew up in Telluride learning to ski with the best of them. Both grew up on the mogul and big mountain skiing competition circuits. Jake went on to make a name for himself in park skiing and then in the world of 'Big Mountain' skiing. Jake and Charlie are well-traveled and have skied all over the globe, occasionally calling places like Steamboat Springs CO, Park City UT, Whistler BC, and Innsbruck, Austria home. We are not city kids who made it to the mountains on the weekends, nor are we transplants to the mountain lifestyle. The people behind SnowLocals are life-long skiers who know the difference between good snow, good terrain, and good resorts. We can ski any terrain on Earth and we thoroughly explore every resort we ski to find the best zones. This is what sets SnowLocals apart from other travel agencies that are sending people to ski in Japan. In 2011 we first skied in Japan. We went there to make promotional videos for Japanese ski resorts that would then be posted on a popular action sports website. We have returned to Japan to ski every year since and our filming has progressed into professional quality productions that showcase everything these Japanese resorts have to offer. Our videos prove that we don’t exaggerate when we tell you that the skiing is amazing and the snow is deep at a particular place. Our seasons in Japan have led to relationships with popular resorts. We have skied at dozens of places throughout the country and have traveled by plane, train, bus, subway, taxi, rental car, ferry, and camper van between ski destinations. We have hiked, skinned, explored and been very lost in the search for the best lines and deepest pockets of snow. We’ve found ourselves at the majority of Sapporo’s downtown hotels and even more of the city’s karaoke bars. 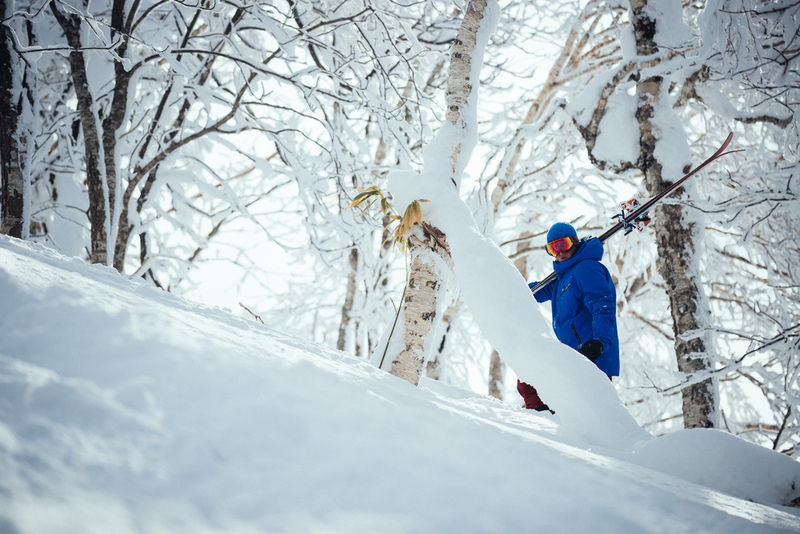 When you find yourself wondering what makes SnowLocals different from others who advertise to set you up with the best powder vacation to Japan, remember that we are life-long skiers who have experience skiing in Japan. We have worked hard to seek out the best zones on each mountain. We have traveled throughout the country via every mode of transportation and seen all styles of lodging. As a result, we can recommend options for the experience you are looking for. SnowLocals is a small company and every question you send our way will be answered directly by either Jake or Charlie. We know skiing, we know Japan, and we would be happy to share our knowledge with you. With that all said, SnowLocals is different because of our passion for travel and skiing, but more importantly because of our background on skis and in the skiing industry. Snowlocals.com is NOT the corporate travel agency that no longer has any true connection to the places they send clients. Nor are we your father's friends who pretend to understand the ski and snowboard industry of today. We are part of that industry and hope that the photos and videos throughout this site can attest to our knowledge and experience in Japan. Let us explain a little about Japan's booking methods. You may wonder why you have not found an easy online system for making a lodging reservation in Japan. That is simply not how Japan works. If there was an automatic system to plug into we would have our site set up that way. Yes, Tokyo is an advanced city with flying cars and robots to serve you ramen noodles, but the rest of Japan lags slightly behind when it comes to conveniences that we are all used to having online. Such conveniences are online booking engines, and so when it comes to booking a room at a ski resort we must go about it the old-fashioned way: e-mail correspondence. This is why you see inquiry forms on our website. The only way to secure your room is with a back-and-forth of emails to narrow down your desired dates, rooms, and travel options. Please don't let these inquiry forms scare you, they are entirely non-committal and your email doesn't go to a muilti-national spamming database. Instead your email goes to me, Charlie, and I'll reply to initiate a conversation that will let me build you the best possible Japan trip. Ask us anything, we’re happy to share our experiences and knowledge.